Located south of Downtown Nashville, the Woodbine Neighborhood is popular destination for diners and homeowners. Popular streets in Woodbine include Antioch Pike, Burbank Avenue, Collier Avenue, Elberta Street, Evelyn Drive, Fox Avenue, Hartford Drive, Leafland Avenue and Morton Avenue. Most Woodbine is located in the 37210 Zip Code but there are portions of Woodbine in 37211 Zip Code. 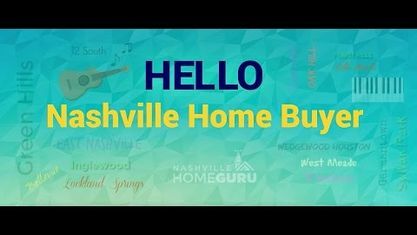 Check out these nearby Nashville neighborhoods: Battlewood Neighborhood, Crescent Heights Neighborhood, Cunningham Heights Neighborhood, Elysian Park Neighborhood, Glencliff Estates Neighborhood, Hidden Acres Neighborhood, Kingswood Neighborhood, Laurel Acres Neighborhood, Mashburn Heights Neighborhood, Overhill City Neighborhood, Raymond Heights Neighborhood, Rosewood Estates Neighborhood, Southlake Neighborhood, Sterling Heights Neighborhood, Tuggle Heights Neighborhood and Valeria Place Neighborhood. View our selection of available properties in the Woodbine Neighborhood area. Get to know Woodbine Neighborhood better with our featured images and videos.